The Argentina capital Buenos Aires is a city that has many options when it comes to places to eat. It doesn’t matter whether you are looking for a place to have breakfast, brunch, lunch or dinner, there is plenty of choice. 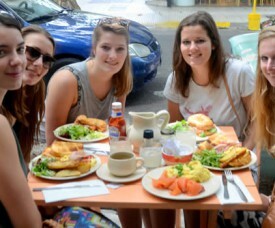 Personally, I really love to have brunch during my weekends in Buenos Aires and I like to try new places as well. After many brunches around the city during my Spanish courses and internship in Buenos Aires, I can truly say that you must visit some of these places! 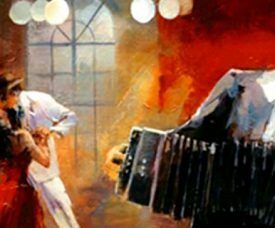 Typical Argentine Music: 11 Songs in Spanish You Must Hear! Of course, we want our students taking a Spanish Course in Buenos Aires to visit all the highlights of this beautiful city. They should visit all the amazing places that are on most “What to do and Best things to do in Buenos Aires” lists. 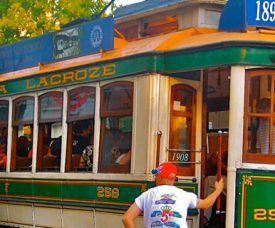 BUT this city has so much more to offer than only the famous cemetery of Recoleta or an old tango show! Buenos Aires spreads itself out deep into the countryside and across the River de la Plata, which means that there is a lot more in Buenos Aires than meets the eye. The capital of Argentina has a unique character in South-America because of the European influences and even more the Italian immigration. The city consists out of many neighborhoods that all have their special charm and this creates so much diversity throughout. This and much more makes this city a perfect destination for Spanish classes in Argentina. 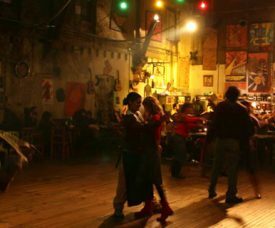 In this article, we will show you the alternative and astonishing side of Buenos Aires in 8 Alternative Things to do in Buenos Aires. When studying Spanish in Buenos Aires this month, you must have noticed: summer is in the air! November, December, January, February….. the best time of year for a Spanish course in Buenos Aires while exploring the beautiful city. 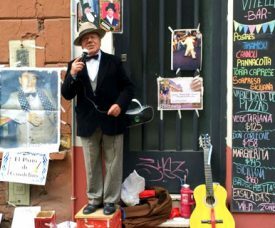 And in particular: visit the hippest Outdoor Markets and alternative Ferias in Buenos Aires. 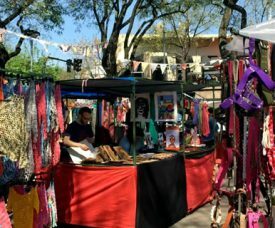 Relaxed strolls over the numerous outdoor markets and alternative ferias in Buenos Aires, is one of the most fun activities during summertime in Argentina. Interested in a Spanish Course in Argentina? What about this! Typical Spanish words to use in Buenos Aires: Qué Buena Onda!! 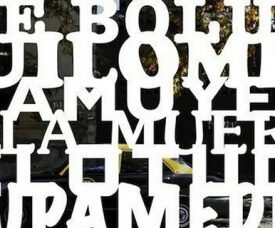 Halloween in Buenos Aires: let’s get your horror on! In Argentina, Halloween is called “Noche de Brujas” and even though the country is not known for extravagant Halloween celebrantions, people are still dressing up in Vampire and Zombie costumes. 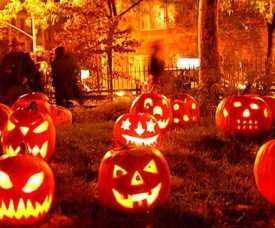 The capital city of Buenos Aires hosts many Halloween parties and events that are all about enjoying and celebrating this scary thrill. 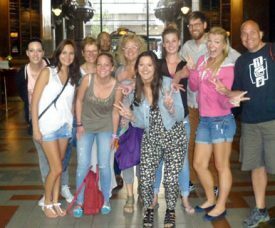 Buenos Aires holds a large number of foreigners residents – among them students learning Spanish in Buenos Aires, volunteers and expats – and travellers! Most of them are more than interested in celebrating this international day and having some fun. We made a list of a few parties on this freaky Friday (and Thursday)!! Halloween in Buenos Aires: let’s get your horror on! All our Spanish students know it, from their first day in the Argentine capital on: Buenos Aires is the capital of Ice Cream and a Haven for a Sweet Tooth! Buenos Aires is famous for its gastronomy in general, and specially for the desserts, sweets and ice creams. And thus you will find loads of cafés, pastry shops and ice cream shops (heladerías) in this city. At most of these places, you will encounter the most delicious flavors. Buenos Aires is known for its high quality ice cream and it forms an important aspect of Argentine culture, since the Italian immigration during the 19th century. One of the favorite, typical Argentine flavors of many Spanish students at our school, is the famous “Dulce de leche”! This typical, (very) sweet ingredient is used in many cakes, pies, cookies and whatever sweet dish you can find in Argentina. 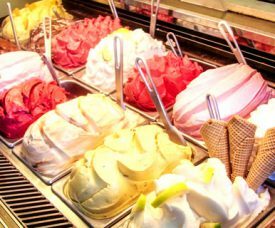 In this article, you will find an overview of the best places to satisfy your sugary needs while learning Spanish in Buenos Aires.